The Kindle Paperwhite is the quintessential ebook reader. It sits snugly in between the barebones Kindle and the flagship Kindle Oasis within Amazon's lineup. 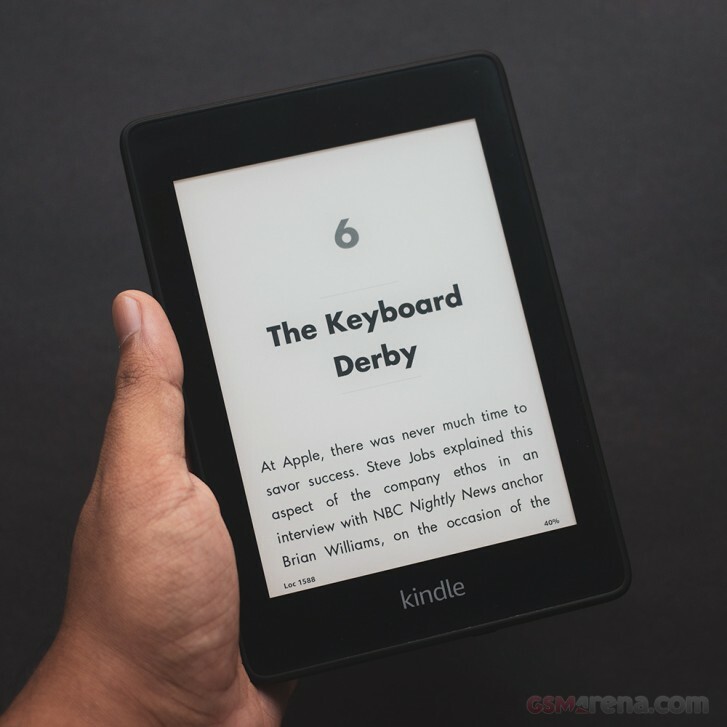 After launching the third generation model all the way back in 2015, the Paperwhite got an update late last year with the fourth generation model, referred to now as the All-New Kindle Paperwhite. One of the main changes in the new model is the design. The 2018 model now has a flat front side, with the display no longer being sunken within the frame. The entire front now has a matte finished glass cover with a smooth texture. The Kindle logo is also prominently placed below the display. 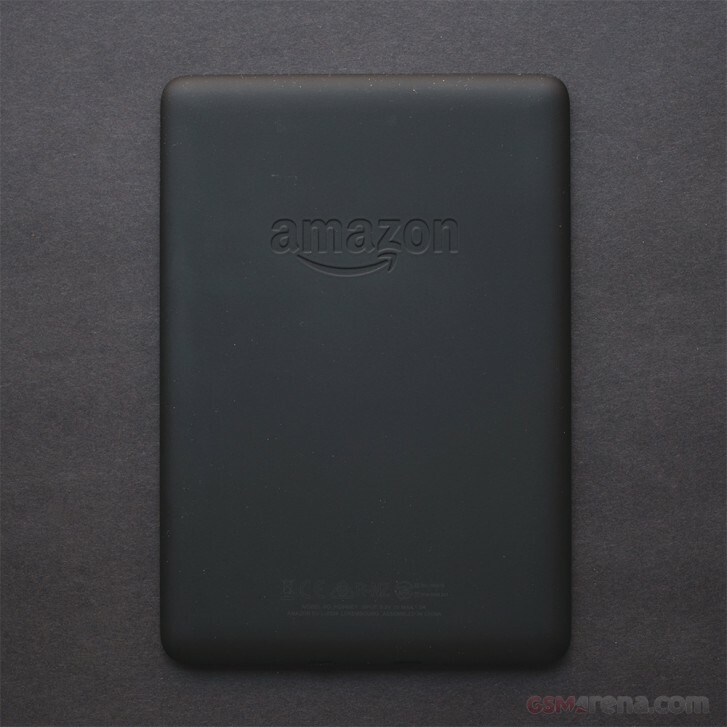 The back has a matte finished plastic with a large embossed Amazon logo. The back material looks good when new but easily attracts fingerprints, dust and smudges and isn't particularly easy to clean. Considering it's meant to be constantly held in hands, having a material that shows smudges so easily doesn't seem like the smartest choice. Another bit of short sightedness with the design is the power button, which is still placed on the bottom. In comparison, the latest generation Oasis has it on the top, where it is easily accessible. The problem with the button is that it is difficult to access when you want to use it and very easy to press with your pinky while you are just holding the Kindle in your hand. The device does support auto wake, however, so if you have a compatible case you can turn the display on or off by just opening or closing the case cover. Placed right next to the power button on the bottom is the microUSB charging port. 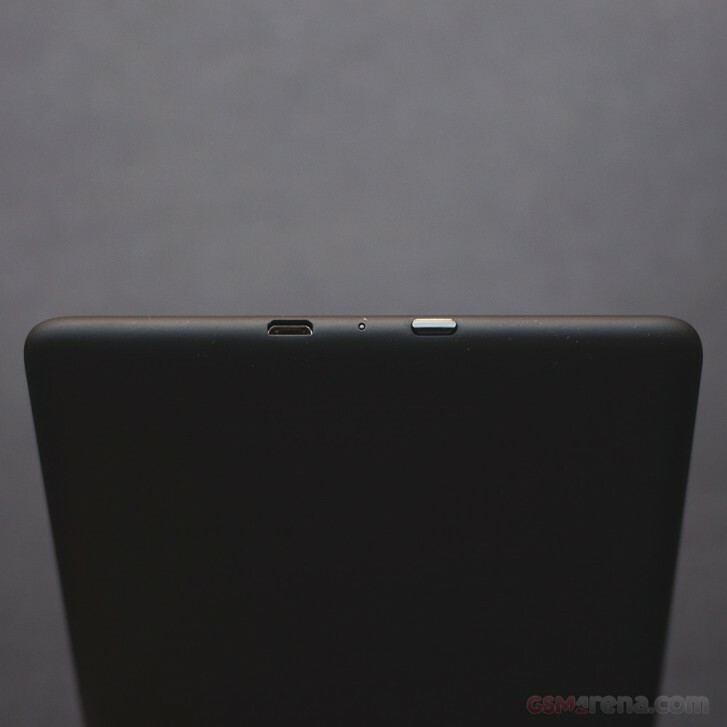 Considering the Kindle launched in late 2018, it would have been nice to see a USB-C connector here. This is especially important since both Amazon and its users tend to keep their Kindle models around for a long time, so as time goes on this connector choice will age rather poorly. Aesthetics aside, the other two main changes with the design in the latest model is that it is now thinner and lighter than before. The new Kindle Paperwhite is also water-resistant with IPX8 rating, so you can use it in a pool, a shower or a bath along with being protected against accidental spills. The touchscreen does work fine with a wet finger but doesn't work well underwater or with a stream of water falling on it. The display on the new model is unchanged from before. It is 6-inch in size with a pixel density of 300PPI. It's really the pixel density along with the backlighting that sets this model apart from the entry-level Kindle. The backlighting isn't as bright as on the more expensive Oasis but it gets bright enough to read indoors. And outdoors you don't really need the backlight anyway for this display type as it's perfectly readable under ambient lighting. The display itself is pretty good with excellent pixel density, lending text that important printed on paper look. Even holding it right up to your eyes makes it difficult to see the individual pixels. The contrast level is adequate, even though it can never match even a basic LCD in that regards. The blacks will always look gray and the white background is more like a creamy white. But it's what gives the display its print like quality and makes it look like you're reading an actual book. The page refreshes have also gotten better over time and for most page turns the e-paper display doesn't have to refresh the entire panel, although it will do that for pages where a lot of content changes. But even then it's fairly brisk and not particularly distracting. What's missing on the cheaper two Kindles and available on the Oasis (and the now defunct Voyage) are physical controls for page flipping. On the Paperwhite you can either tap the left or right side of the page to go backwards or forwards or you can swipe, neither of which feels as nice as pressing physical buttons, especially since the swipes are followed by a half a second lag every time that makes the gesture feel janky. The Kindle Paperwhite also does not have auto brightness feature of the Oasis. It also lacks the Nightlight feature, which gradually dims the display over time as you read in the dark to protect your eyes. In terms of performance, the Kindle Paperwhite is usable but it still feels slow compared to most modern tablets or smartphones. There is a one second lag to every tap you make on the screen, sometimes longer. The Paperwhite is noticeably slower than the Oasis, which feels much snappier. If you have never used a Kindle before, this can come as a bit of a shock. The upside of this, however, is that this tends to save a bit of power, which is why these things tend to last for weeks on a single charge. Over time you do get used to the performance of the device. Also, considering reading books is the only thing you are going to be doing on it, the performance isn't all that bad. The new Kindle Paperwhite comes in two capacities, 8GB and 32GB. While 32GB seems crazy at first for an ebook reader, it will come in handy if you read a lot of magazines or comic books, which take up a lot more space. The 32GB model also has 4G, which is what our review unit came with. I've always found the usability of this feature dubious considering you can always load books while you are in Wi-Fi coverage and it's not like you are going to finish all of them before you get back in coverage again. Still, it's there and at least you don't have to pay for data. It also works while roaming, which is nice. There is also Bluetooth built-in, which can be used for pairing headphones to listen to Audible audiobooks. Unfortunately, while Audible recently became available in my region, Amazon hasn't yet enabled the option to listen to them on Kindles sold here yet so I couldn't test the features. The packaging for the Kindle is pretty bare bones. You get the Kindle itself along with a charging cable. There is no actual charger provided so you will have to use one of your own. You also don't get any case, which is fairly typical as Amazon sells you those separately along with the missing charger for an additional $20. As for the more expensive Oasis, it is definitely a much nicer device and something to treat yourself with if you have the budget, read a lot or just like nice things. However, for many people, the advantages offered by the Oasis might not be enough to justify spending almost twice as much. 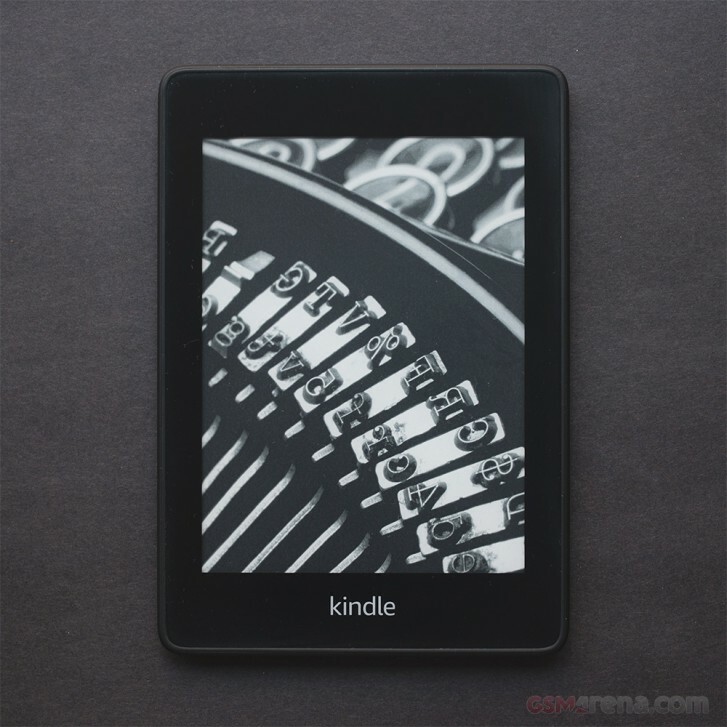 As such, the Kindle Paperwhite really is the sweet spot that has everything you need in a good ebook reader at a reasonably affordable price, and continues to be the option to go for most people. When will you finally make a proper Kindle, Amazon? The advantage is that it's a near perfect reading experience.like a paperback since it has no backlighting and thus no eyestrain. Just a quick note, you don't need to reposition your hand to tap on the left side to turn the page back. A swipe anywhere from left to right will turn the page back.